Happy (belated) National Cereal Day! At Didion, National Cereal Day is one of our favorite holidays. Why? Because many of our HarvestGold Family of Corn Products go into national cereal brands. Besides being naturally gluten-free and very cost-effective, corn brings a sweet, nutty flavor and gives cereal that crispy crunch. Last year on national cereal day, we shared with you what certain corn products bring to the table as cereal ingredients. This year we’re going to dive a bit deeper into one specific product – corn bran. Made from the outer layer of the corn kernel, corn bran is a low-calorie, low-fat food that offers numerous health benefits. It is a great source of protein and B-complex vitamins, as well as iron, calcium, zinc, and magnesium. 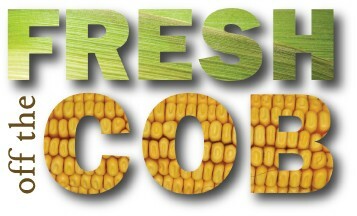 Corn bran also allows for the addition of consistent, high-quality, total dietary fiber. This insoluble fiber is a food-grade, chemical-free, natural product that is light in color with a slightly nutty taste. It’s the perfect fiber additive: a low-fat, low-cost alternative to other grain fiber products. So next time you’re enjoying a delicious bowl of cereal, take a peek at the ingredients. Maybe your favorite cereal has some Didion corn bran in it!